Tim Tebow was, without a doubt and without debate, the best college football player in the history of the game. 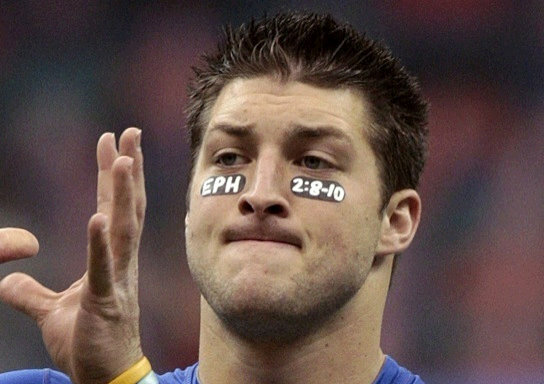 The masses of fans that follow Tim Tebow is unprecedented and the reputation that he brought to the University of Florida is equally astounding. When the Denver Broncos traded up to select Tebow in the first round of the 2010 draft, the expectation was that Denver was getting their franchise quarterback. But with the lockout lingering through the summer, the brass in Denver – such as John Elway, coach John Fox, and and general manager Brian Xanders – were unable to evaluate the super star from Florida. The problem is, now that the minicamps and pre-season are underway, Tim Tebow is, according to people in the Denver Broncos organization, no better than the fourth string quarterback. With Fox’s announcement on Monday that Kyle Orton has retained the starting position at quarterback for the third straight season, the battle for Tim Tebow is now with Brady Quinn for the number two spot. It’s clear that Tim Tebow is not playing at the level of expectations that everyone had when he was coming out of Florida. All of this puts Tim Tebow in a position that he is certainly not used to, fighting for a second place position as the quarterback. But ultimately, like Elway said, winning games is the bottom line and the positions are filled with the folks who give the team the best chance possible at achieving that goal.